You’ll find our Birmingham blog to be a wealth of information, covering everything from local market statistics and home values to community happenings. That’s because we care about the community and want to help you find your place in it. Please reach out if you have any questions at all. We’d love to talk with you! My goal for 2019 through 2021 is to further establish myself as a residential real estate marketer rather than a listing or buyer’s agent. 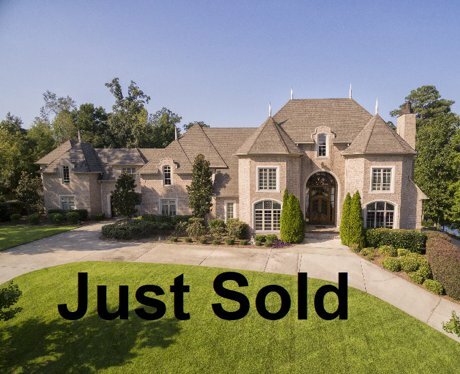 I wish to establish myself within the luxury home real estate market ($750,000 and up) as the agent of choice for marketing luxury homes in Jefferson and Shelby counties. My plan to achieve this position is to be the provider of quality information on market conditions and marketing techniques through my 57 Touch Program. I will also publish my book, Real Estate 2020 – How to Get Rich Selling Real Estate in the first quarter of 2019. 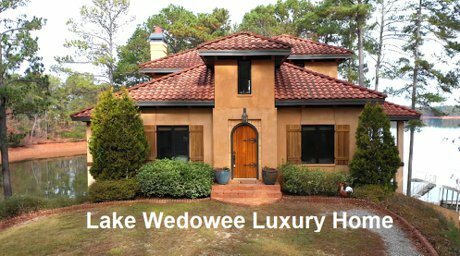 A Spanish Hacienda on Lake Wedowee with 633 feet of year-round water on one of the most beautiful lots on Lake Wedowee. The home features a two-story great-room, two fireplaces, a wrap-a-round deck. The Master Suite is on the second floor with a swinging rope bed overlooking the lake. The lower level, which walks out to the lake, is built for family entertainment. It has a floating two-story bay dock with lift giving you full access to Alabama’s most beautiful lake. If you’re looking for a lake property that will become your families “Golden Pond” look no further. 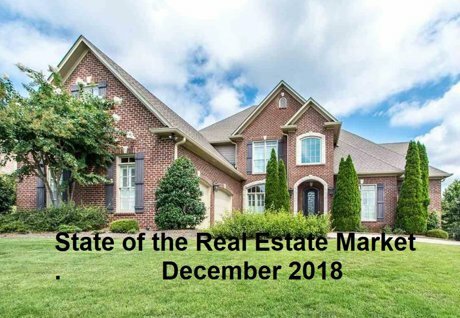 What does the 2019 real estate market hold for buyers and sellers? A look at the past ten years of the real estate and stock markets may give us some answers and guidance as to how to position ourselves for the coming years. Marketing is going to be the key and video marketing could make the difference between selling and not selling. 2. I'm present for every showing of my listings so that I can get to know the potential buyer and what their looking for in a new home. My job is to sell homes. This also assists me when we enter into negotiations. This video will illustrate how these two strategies turned into a sale of a home that the buyers had told their agent that they were not interested in seeing. 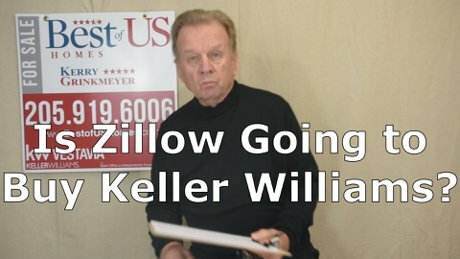 Zillow is moving to take control of the real estate industry through their dominance of their online portal technology and their 12 yeas of open access to MLS data. They're now in the Mortgage Business, and are introducing Zillow Instant Offers which will put them in control of listings. They're going to need boots on the ground, agents and infrastructure. Could that be Keller Williams with 120,000 agents or someone else. The $Billion Question. Watch This Video and tell me what you think. To get rich you need to change how things are done. 99% of real estate agents offer the same service as every other real estate agent. Amazon changed how you buy products, Uber changed how you move from place to place, Netflix changed how you watch TV. They didn't invent anything, they changed how a product or service is delivered. 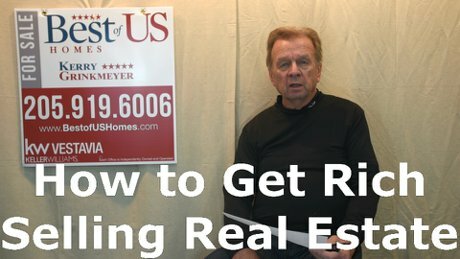 Learn how to change how real estate is sold and get RICH. Oliver, I read about your distinguished career in the navy and being honored with “The Energy Statesman” award, your marriage to Sally, her passing in 2014, then finding love again with a high school classmate. Having graduated from high school in 1962 I was able to identify with your life adventure. I lost my daughter in 2014 and became angry then found guidance to a second career in real estate, I to love again. I see that you are having difficulty selling your home in Highland Lakes. You can blame that on the Baby Boomer generation; all reaching retirement age at the same time and moving to the beach, you’re part of the problem. The reason it hasn’t sold is that the right person hasn’t come through your front door, the right person isn’t aware of your home, the right agent isn’t aware of your home. I don’t know if I could have sold your home over the past 197 days, but I do know that I could have made the community and the right agents aware of your home. I know this because I’m doing it with my other listings. Have they sold? 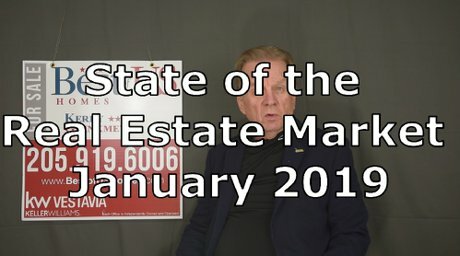 No, not all of them, but with video, direct mail, email, Facebook advertising, LinkedIn advertising and conventional media I’ve made the community aware of my listings. As an example, I have a listing at 3556 Spring Valley Court in Mountain Brook, the video that I produced to promote this home has been viewed over 2,100 times in the last 60 days. I know that most of the viewers can’t afford a $2.0 million home but there is an awareness that is a must to bring that right person through the front door. We are in The Baby Boomer Sell-Off and we’re approaching The Baby Boomer Die-Off, this is what’s making the sale of your home challenging. I’ve chosen to take on the challenge by bringing my clients the latest in social media marketing techniques which will in time, put me in the position of controlling the market that I choose to serve. You’d like an agent that will do more than put a sign in your front yard and create an MLS listing. You’d like an agent that will market your home using the latest technology, conventional media and social media. You’d like an agent that will be present for all showings of your home to sell your home to potential buyers. Oliver, you’re going to pay someone $60,000 or more to sell your home, what are you going to get for your $60,000? You don’t need another listing agent, you need a marketing company and a salesman. Call me if you’d like to sell your home. Is the market shifting from a Sellers Market to a Buyers Market? 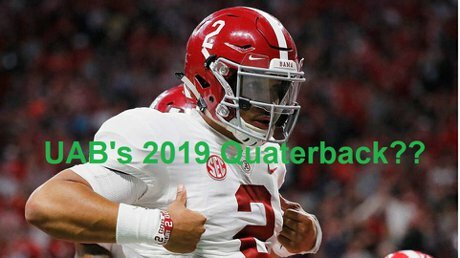 Let's go to the numbers.